Midtown Farm Bed and Breakfast01228 576550work Bed & BreakfastA warm welcome awaits you at Midtown Farm Bed and Breakfast. A quiet rural property, ideally placed on the Solway Coast AONB,within easy access to the historical City of Carlisle,The Lakes, Gretna Green and Scottish borders. Close to to RSPB Campfield Mash Reserve and the Solway Wetlands Centre, Fingland Rigg Wood and Drumburgh Moss Nature Reserves. A haven for birdwatchers, nature lovers and fishermen and an ideal over night stop for walkers on the Hadrian's Wall Trail, Cumbria Coastal Path and riders on the Route 72, Hadrian's cycleway or travellers breaking up a long journey from North or South. Pick up and drop off available for walkers. 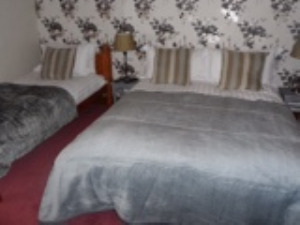 Our 3 ensuite rooms are warm, comfortable and furnished to a high standard. Only the best local ingredients used for our breakfasts and special diets are catered for. We have free Wi-Fi, laundry facilities and ample free parking. 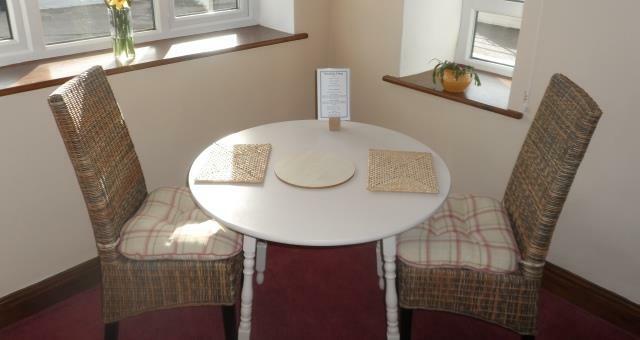 Enjoy breakfast in our light and pleasant breakfast room. There is not enough availability for your party for the selected dates. A warm welcome awaits you at Midtown Farm Bed and Breakfast. A quiet rural property, ideally placed on the Solway Coast AONB,within easy access to the historical City of Carlisle,The Lakes, Gretna Green and Scottish borders. From M6 junction 44 follow signs for Workington. At the Burgh Road roundabout take the 3rd exit following signs for Burgh by Sands and Bowness on Solway. Hadrians Wall path and Route 72 cycleway. After leaving the village of Burgh by Sands, cross 2 cattle grids and then turn left on top of a small hill,for Easton. Midtown Farm is in the middle of the village.